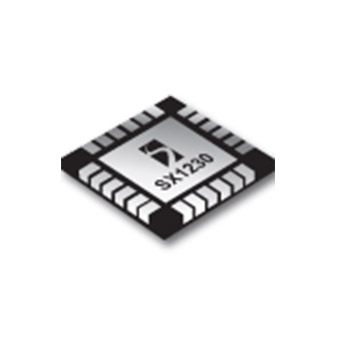 The SX1230 is a fully integrated transmitter which can operate in the 315, 434, 868 and 915 MHz licence free ISM bands. 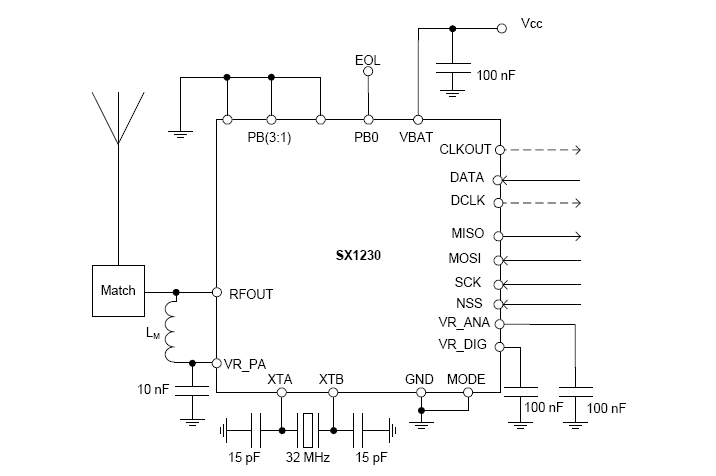 +17 dBm to -18 dBm Programmable output power. Bit rates up to 600 kbits / sec. FSK, GFSK, MSK, GMSK and OOK modulation. Stand-alone mode: No need for a host MCU. Consistent RF performance over a 1.8 to 3.7 V range. Low phase noise (-95 dBc/Hz at 50 kHz) with automated PLL calibration and fully integrated VCO and loop filter. On chip RC timer for timer / wake-up applications.